Phytoplankton and bacterioplankton play a key role in carbon cycling of aquatic ecosystems. In this study, we found that co-occurrence patterns between different types of phytoplankton, bacterioplankton, and environmental parameters in Lake Baikal during spring were different over the course of three consecutive years. The composition of phytoplankton and bacterial communities was investigated using microscopy and 16S rRNA gene pyrosequencing, respectively. Non-metric multidimensional scaling (NMDS) revealed a relationship between the structure of phytoplankton and bacterial communities and temperature, location, and sampling year. 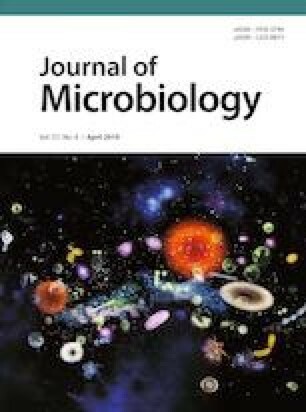 Associations of bacteria with diatoms, green microalgae, chrysophyte, and cryptophyte were identified using microscopy. Cluster analysis revealed similar correlation patterns between phytoplankton abundance, number of attached bacteria, ratio of bacteria per phytoplankton cell and environmental parameters. Positive and negative correlations between different species of phytoplankton, heterotrophic bacteria and environmental parameters may indicate mutualistic or competitive relationships between microorganisms and their preferences to the environment. Supplementary material is available for this article at https://doi.org/10.1007/s12275-019-8531-y and is accessible for authorized users. Supplementary material, approximately 2.70 MB.